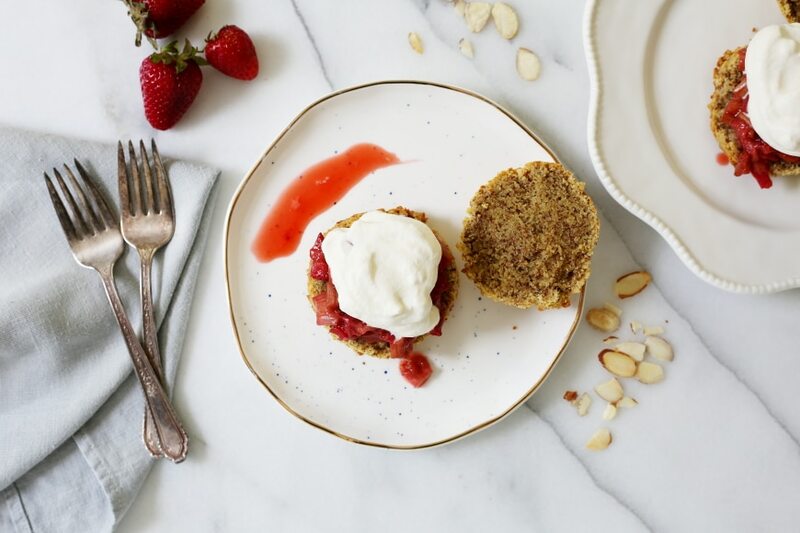 The shortcakes get topped with a sweet-tart topping of roasted rhubarb and strawberries, which is going to blow your socks off. I was never a huge fan of rhubarb, since it’s typically simmered in simple syrup, turning it saccharine and pulpy. 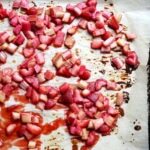 However, when developing recipes for my cookbook I discovered that when it’s roasted with a touch of maple syrup and brown sugar, rhubarb develops the most alluring tart-sweet, caramelized flavor. I’m now HOOKED, and I think you will be too! Strawberries lend a juicy sweetness, turning it into almost a sauce. The roasted fruit is also awesome swirled into ice cream, yogurt or in breakfast bowls (that one will be in the book, hint, hint!!). 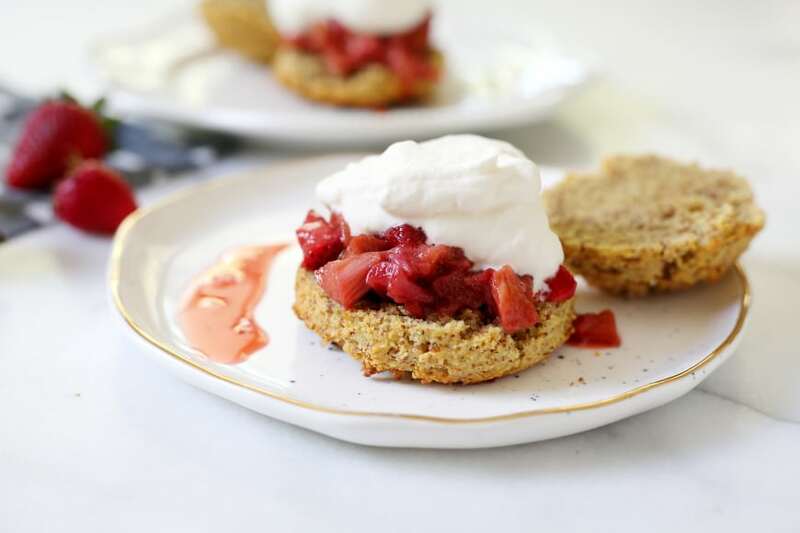 If you can’t get your hands on rhubarb, the gluten free shortcakes are also awesome with macerated strawberries (toss sliced strawberries with sugar and let them sit until juicy). I’ve said it before, and I’ll say it again, but a kitchen scale is one of my baking essentials. They’re not very expensive, and they make baking much easier (no measuring cups to wash!) and far more accurate (meaning better baked goods!). Large, heavy baking sheets are a must. You want light-colored baking sheets, as dark pans can cause foods to brown too quickly. I have set of rimmed sheets and rimmless sheets (which are great for cookies). I use my ice cream scoop with lever for way more than ice cream. 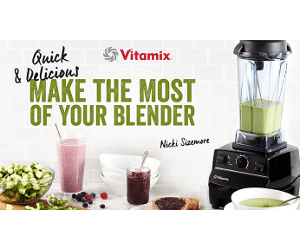 It makes quick work out of filling muffins cups or shaping biscuits and shortcakes. 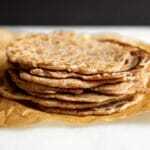 I use Bob’s Red Mill superfine almond flour, which has a fine texture that doesn’t clump as easily as other brands. It’s hard to believe Memorial Day is right around the corner. Where in the heck has this year gone?! We have friends coming in town, and we’ll be grilling, fire-pitting and shortcake eating. I hope you have a wonderful weekend! 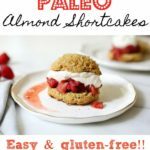 Get the recipe: Paleo Almond Shortcakes! You won’t believe how easy these almond shortcakes are to make! 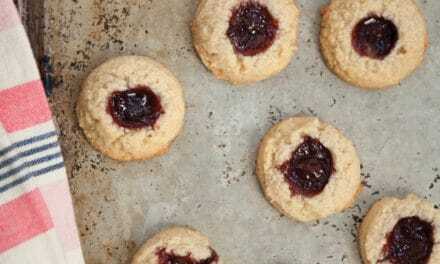 They’re slightly sweet from a touch of honey and just a tad salty (in the best kind of way), with a crisp crust and tender, cookie-like center. 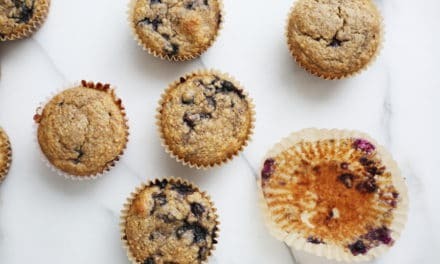 They’re made entirely with almond flour (I use Bob's Red Mill Superfine Almond Flour) and get a double dose of flavor from a splash of almond extract. 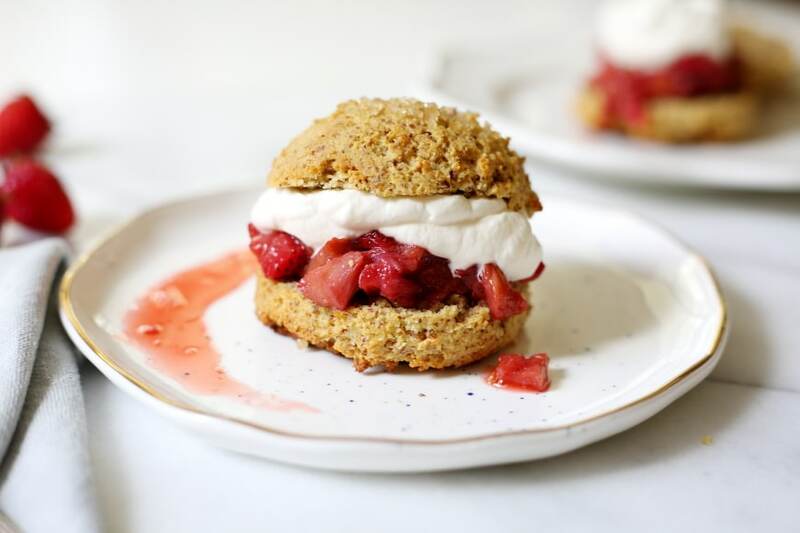 The shortcakes transform into a show-stopping dessert when topped with roasted rhubarb, strawberries and whipped cream (for a quicker version, you can top them with sliced, macerated strawberries). If you're making everything at once, assemble the biscuit batter while the fruit roasts. The biscuits are best eaten within a day of making, but they freeze beautifully. 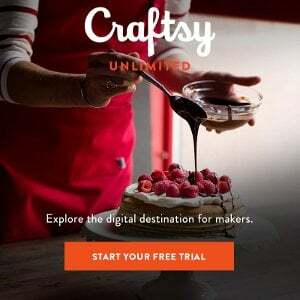 Be sure to check out my baking tips above! Preheat the oven to 350˚F. Line a large baking sheet with parchment paper. 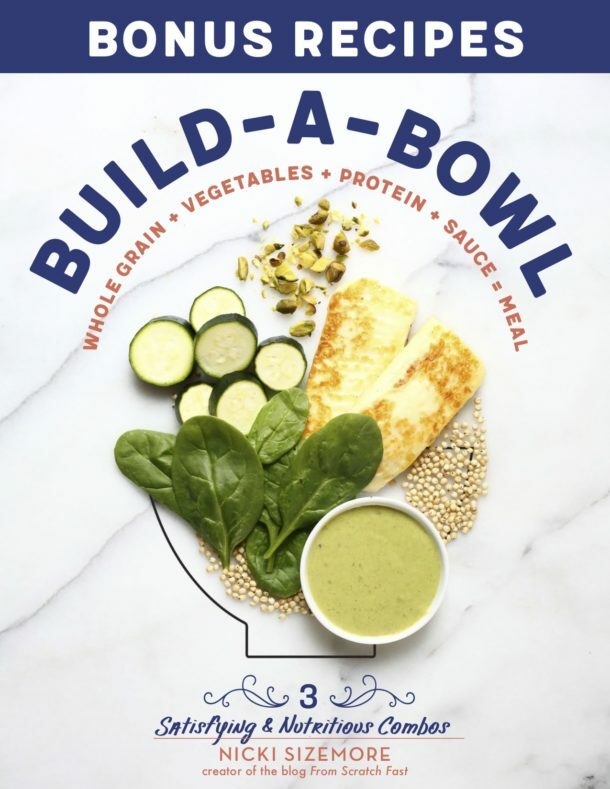 In a large bowl, whisk together the almond flour, sea salt and baking soda. 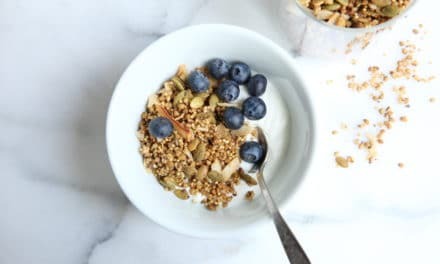 In a small bowl, whisk together the eggs, honey, lemon juice, almond extract and butter. Add the wet ingredient to the dry ingredients, and stir to combine. Using an ice cream scoop, scoop the batter into 6 mounds on the baking sheet. Sprinkle turbinado sugar evenly over the biscuits. Bake until lightly browned on the bottom and top, about 16-18 minutes. Transfer to a cooling rack, and let cool at least 5-10 minutes. 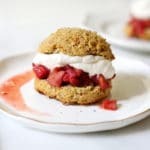 Make it Ahead: The shortcakes can sit out at room temperature, uncovered, for up to 1 day (if they soften, reheat them until lightly crisp in a 350˚F oven). They can also be frozen for up to 3 months. 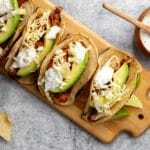 Defrost them at room temperature and then reheat them until lightly crisp. 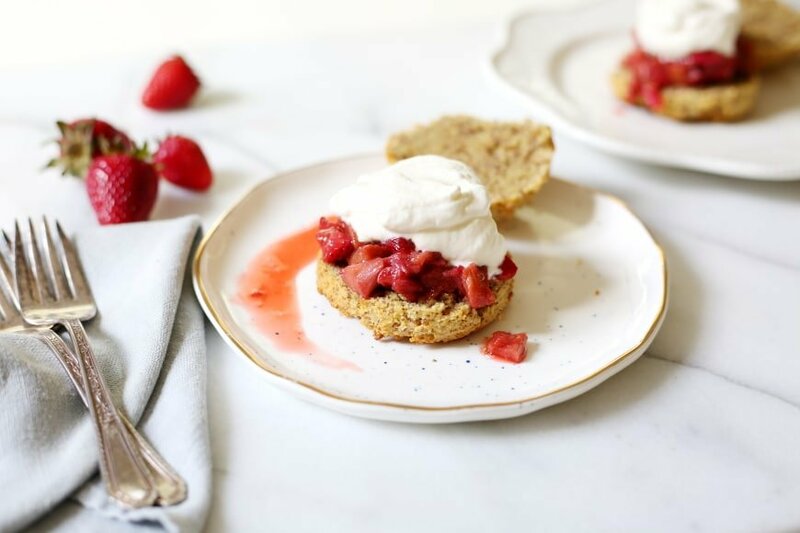 I’m HOOKED on these roasted strawberries and rhubarb, and I think you will be too! 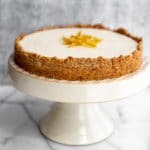 The sweet-tart, caramelized flavor is amazing with the shortcakes, as well as over pound cake, swirled into ice cream or yogurt, or spooned over breakfast bowls. For a paleo version, swap out the brown sugar for honey. In a small bowl, combine the maple syrup, brown sugar, vanilla and salt. Stir until smooth. 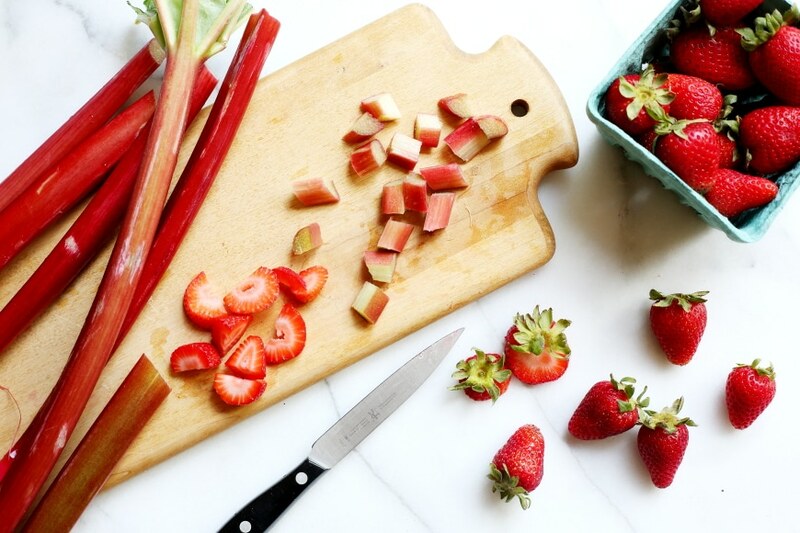 Place the rhubarb and strawberries in a large bowl and pour the maple syrup mixture over. Toss gently to coat. Scrape the fruit onto a parchment-lined baking sheet and spread in a single layer. 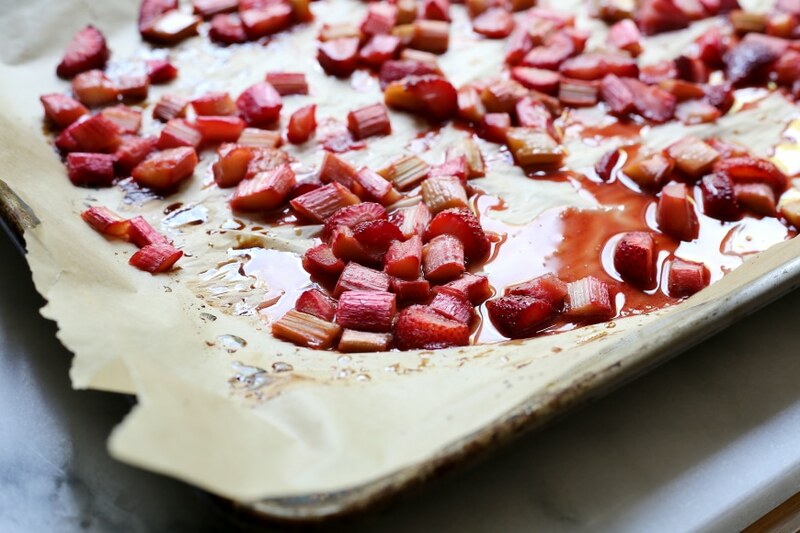 Roast 30-35 minutes, stirring gently halfway through, or until the rhubarb is very tender and the juices have reduced and look slightly syrupy (the edges will look a bit browned). Immediately transfer the fruit and juices to a bowl. Make it Ahead: The roasted fruit can be refrigerated for up to 5 days. 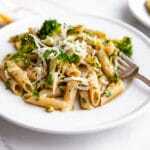 Reheat or serve cold. 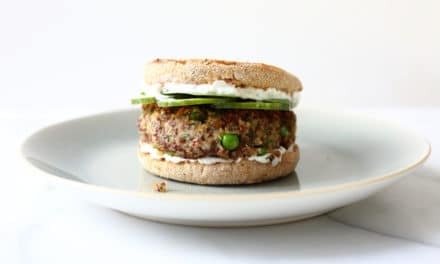 I love that you did this with almond flour! 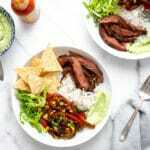 We’re not gluten free, but are always looking for ways to reduce processed flour and sugar in our diets. Looking forward to trying this! I made these this weekend for guests. I filled with just fresh cut strawberries and whipped cream. They were a big hit. Everyone loved the almond shortcake. So sorry for the late response!! Thank you so much for sharing, and I’m thrilled you liked the shortcakes!